Be the first to share your favorite memory, photo or story of Anton. This memorial page is dedicated for family, friends and future generations to celebrate the life of their loved one. Anton “Tony” Joseph Hopfinger, age 75, of Lake Forest, Ill., passed away December 5, 2018, peacefully at Highland Park Hospital. A beloved father to three sons and distinguished career scientist, Dr. Hopfinger is credited as a founding father of computational chemistry, which fueled the boom in advanced drug discovery in the late 20th century. He was born Dec. 3, 1943, in Oshkosh, Wis., to Anton and LaVerne Hopfinger. The oldest of three children, he had a passion for science and mathematics at an early age. He met his wife, Kathleen Hanseter, while the two were in grade school and they were married for 49 years, until her death in 2015. After graduating from Lourdes High School in Oshkosh in 1962, he earned bachelor’s degrees in math and physics at the University of Wisconsin at Oshkosh. He went on to earn a doctorate in biophysical chemistry from Case Western Reserve University, where he continued as a research professor in macromolecular science in the 1970s. It was during this time that he began shaping the emerging field of computational chemistry. 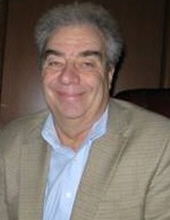 He was the lead author on more than 280 peer-reviewed publications, many of which explored the methodologies of computer-assisted molecular design. In the early 1980s, Dr. Hopfinger briefly left academia to serve as director of drug design at the then-pharmaceutical company Searle, where he played a key role in developing aspartame, the artificial sweetener. In his consulting work, he made significant contributions to a host of pharmaceuticals, including the Alzheimer’s medication Aricept. Starting in 1985, he was a professor of bioengineering, chemistry and medicinal chemistry at the University of Illinois at Chicago (UIC) and served as director of the Laboratory of Molecular Modeling and Design. During his academic career, he took great pleasure in serving as a thesis adviser to more than 50 doctoral students. Upon retirement in 2005, he was named professor emeritus of medicinal chemistry and pharmacognosy at UIC. He also served as a distinguished research professor of pharmacy at the University of New Mexico. His work afforded him and his family opportunities to travel the world, experiences they will forever cherish. He also enjoyed reading spy novels, building model trains, watching football and spending time at his second home in Santa Fe, New Mexico. He is preceded in death by his wife, Kathleen (Hanseter) Hopfinger; his parents, Anton and LaVerne Hopfinger; and brothers-in-law John Hanseter and Glen Dedow. He is survived by sons, Tim, Tony Jr. and Todd; daughters-in-law, Heidi (Tim) and Kylea (Tony Jr.); and granddaughters, Julia and Grace (Tim and Heidi), and Kaethe (Tony Jr. and Kylea). He is also survived by his sisters, Debra Perlewitz and Susan Geffers; brother-in-law, Peter Geffers; sisters-in-law, Mary Ann Dedow and Jodie Hanseter; as well as his nieces and nephews Angi Klabunde, Jeff Perlewitz, Joe Perlewitz, Pierce Geffers, Desiree Geffers, Noreen Smith, David Koene, Michelle Wickman and Cheri Perez. To plant a tree in memory of Anton J. Hopfinger, please visit our Tribute Store. "Email Address" would like to share the life celebration of Anton J. Hopfinger. Click on the "link" to go to share a favorite memory or leave a condolence message for the family.